Santa Barbara, CA, June 1, 2016 -- Fin & Field, a brand-new online marketplace for booking hunting and fishing trips, announces today a strategic partnership with Field & Stream, Outdoor Life, Saltwater Sportsman and Sport Fishing magazines, four of Bonnier Corporation’s premiere outdoor titles. The partnership provides Fin & Field’s over 25,000 operators (which include charter boats, guides, outfitters, lodges, marinas, brands, and other outdoor services) exposure to the country’s largest audience of outdoor enthusiasts. Finding the right guide is often the biggest challenge for sportsmen looking to plan hunting and fishing trips. 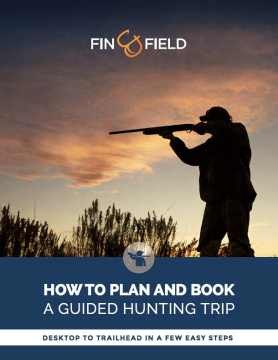 Fin & Field’s easy-to-use online service helps take the guesswork out by providing sportsmen access to full-featured business profiles, reviews, and the ability to book trips directly with the operator on www.finandfield.com or over the phone. In addition to the consumer-facing website, Fin & Field has also released a business platform for operators. "Many operators today are still using outdated paper calendars, answering machines and static websites," said co-founder and Fin & Field’s Chief Operating Officer Rob Duva. "Smart ones are providing a better experience for their clients by adopting integrated software like ours that helps them more efficiently run, market, and grow their business." Through the partnership, Field & Stream, Outdoor Life, Saltwater Sportsman and Sport Fishing magazines will feature Fin & Field operators across their digital and print channels, as well as through Bonnier’s popular series of outdoor events and tournaments. "Our exceptionally engaged and passionate audience has looked to our brands for guidance experiencing the outdoors for more than a century. Fin & Field offers just what our readers are looking for today: access to great hunting and fishing adventures across the country," said Bonnier Corp.’s Chief Marketing Officer, Elizabeth Murphy. 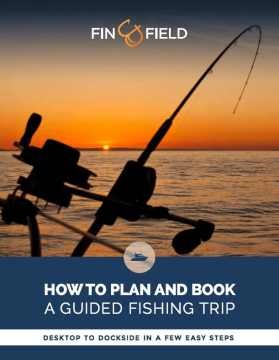 "Fin & Field’s unique booking platform brings time-honored practices into the modern age, providing instant access from any device to this rich community of outdoor service providers." Bonnier Corp. is one of the largest special-interest publishing groups in America, with more than 30 multichannel brands extending into all platforms including magazines, digital media, books, events and product licensing. Bonnier Corp.’s brands include Popular Science, Saveur, Field & Stream, Popular Photography, Destination Weddings & Honeymoons, Cycle World, Working Mother and Outdoor Life. Bonnier Corp. is owned by Swedish-based Bonnier AB, a multichannel media conglomerate operating in 15 countries. 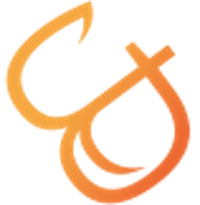 Fin & Field is changing the way sportsmen find, compare, book and share their outdoor fishing and hunting adventures. We’ve consolidated the hunting and fishing industry into a powerful marketplace that connects sportsmen and operators (charter boats, fishing guides, hunting guides, lodges, marinas, outfitters, outdoor brands, and more). We’re using technology to drive more meaningful, fun, and efficient communication that’s making it easier for sportsmen to get the information they need to do what they love.